If there is no drawer in the cooking room, you have to use the ways on how to organize a kitchen without drawers. The drawer is considered as the primary storage solution in the kitchen. It does not mean that’s the end of the day if you do not have any drawers. 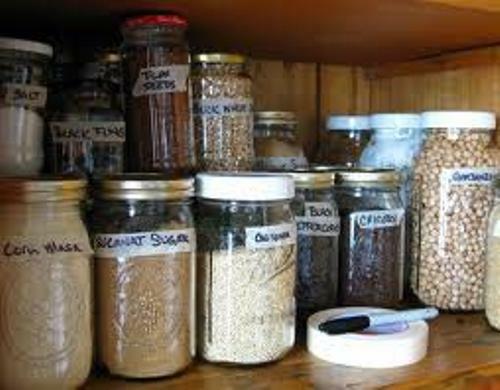 There are many alternative solutions that you can apply to store the valuable utensils, knickknacks and tools. 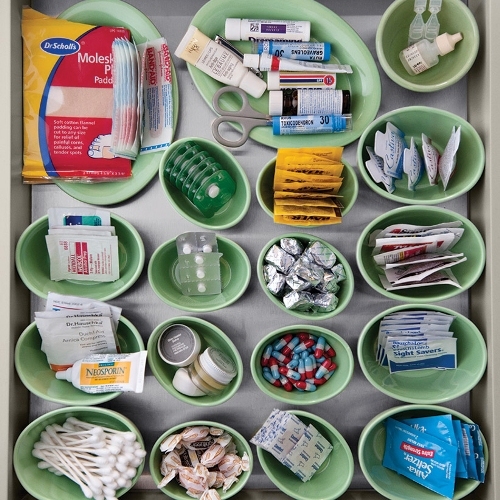 The important items such as the pans, pots, towels and cutlery can be filled inside the cabinet, basket, racks, or even shelves. There are various shapes, sizes, and styles of baskets that you can get in the stores. You can pick the big, medium or the small one depending on the personal need. Choose the baskets which can complement with the current décor in the cooking room. The small baskets made of rattan can be used to accommodate the silverware and cutlery. 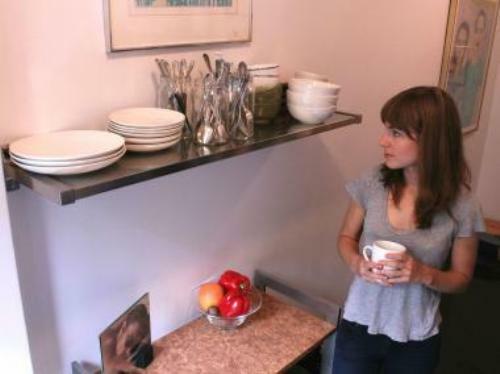 If you have no cabinet in the kitchen, install a shelving unit on the wall and fill each row with the decorative baskets. If the shelves look too much on the wall, you can use hooks to hold the small baskets on the wall. An open shelving unit is always associated with country styled kitchen design. You can also have it inside modern or contemporary kitchen ideas. The china, potteries, mugs and dishes can be displayed and stored on the shelving unit. 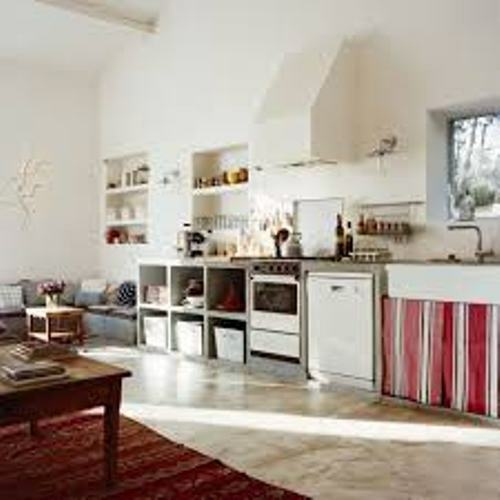 It can be made of wrought iron if the kitchen is created in Italian or Spanish design. 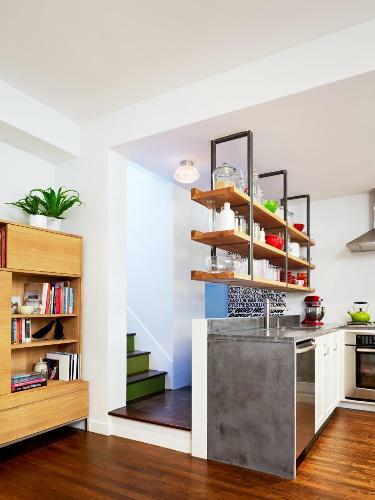 If you have modern kitchen, choose white wooden floating shelves on the wall. If you want a freestanding storage space in the kitchen, you can set a baker’s rack. It fits well in a small kitchen. Another storage solution is a small pantry. It can be made of wood or compressed wood. Add some shelves inside the pantry to keep it organized. Get guides on how to arrange kitchen without cabinet here. If you have the unused bookshelves, use them as the additional storage solution in the kitchen. The cookbooks can be placed here. Check ideas on how to arrange kitchen without a pantry here. What do you think on how to organize a kitchen without drawers above?